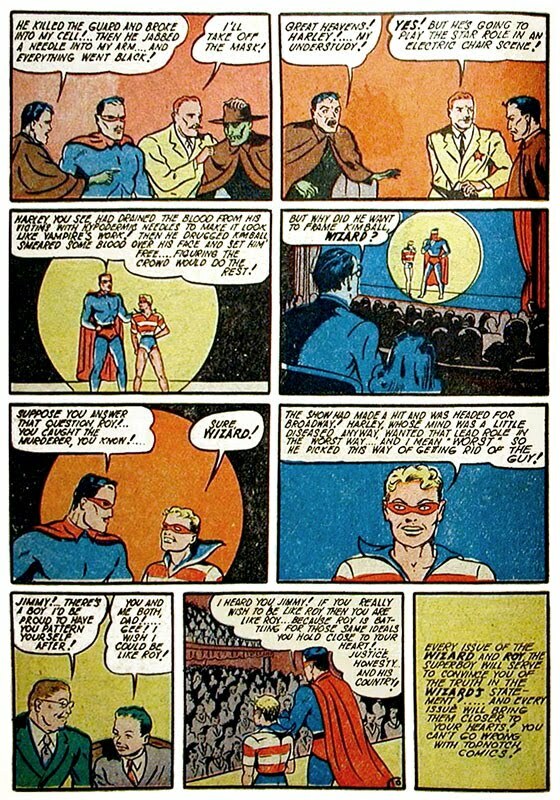 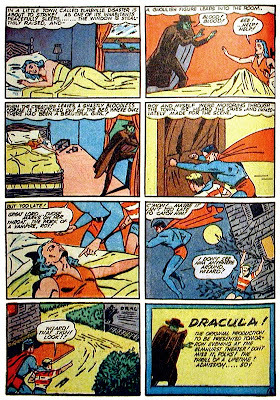 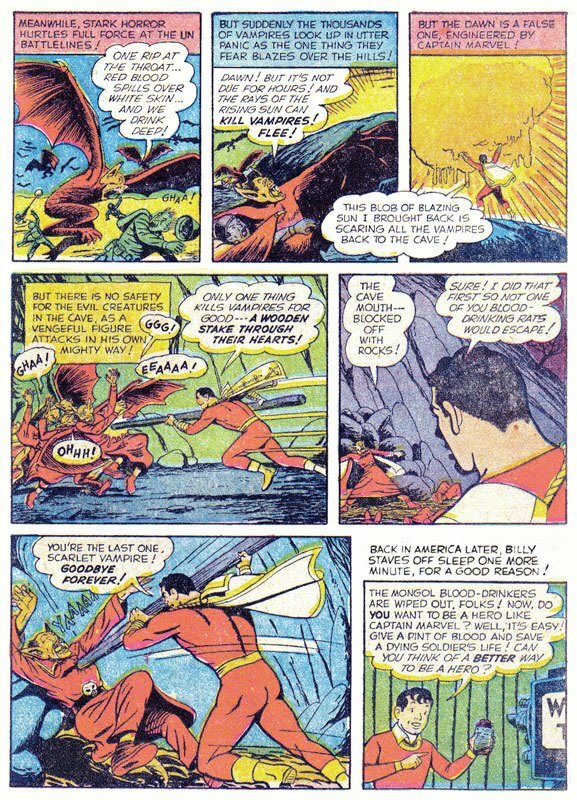 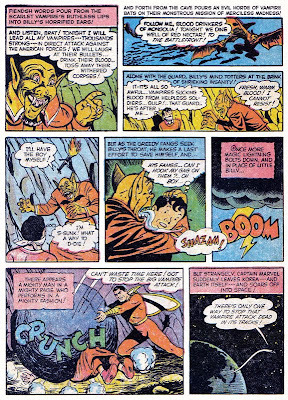 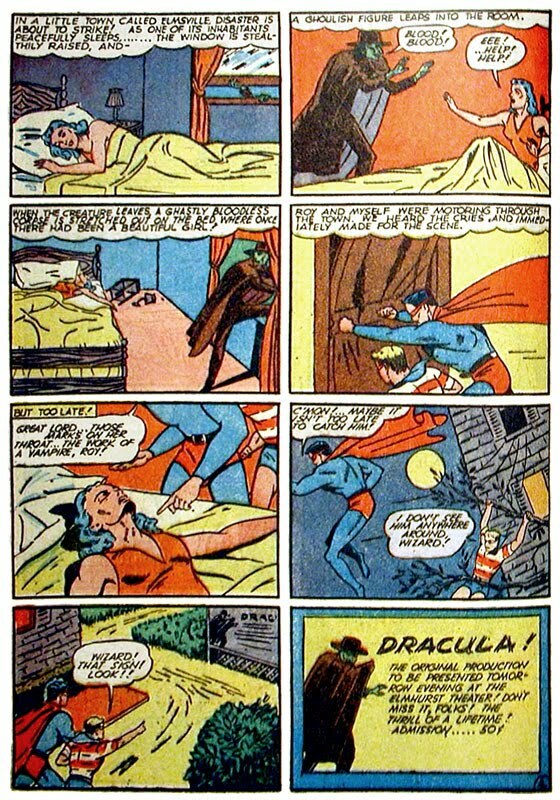 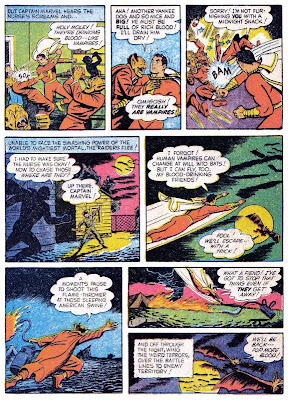 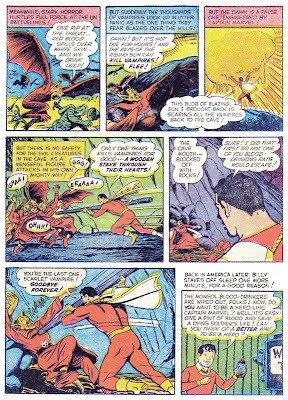 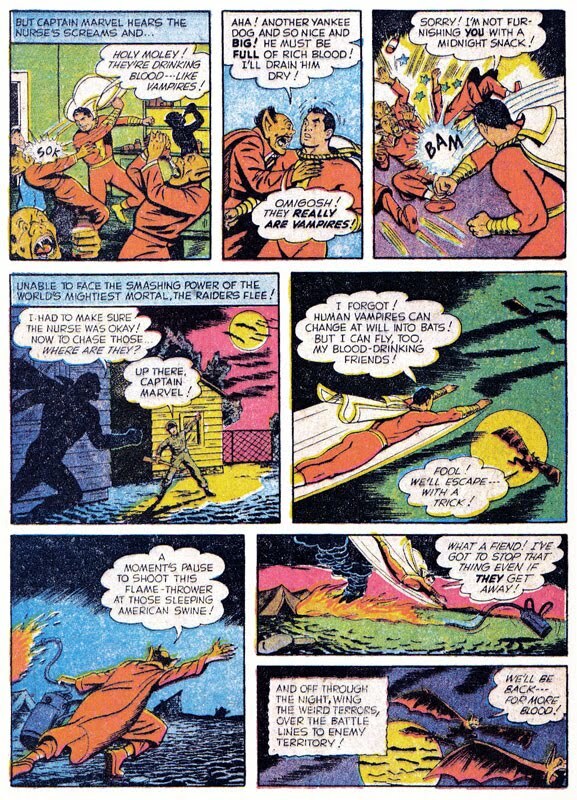 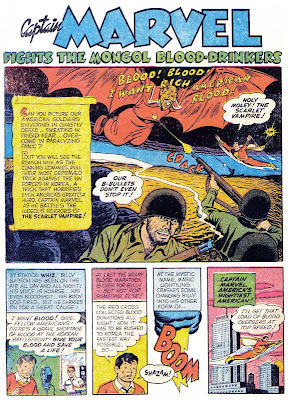 Golden Age Heroes: Vampire Madness with CAPTAIN MARVEL and The WIZARD! 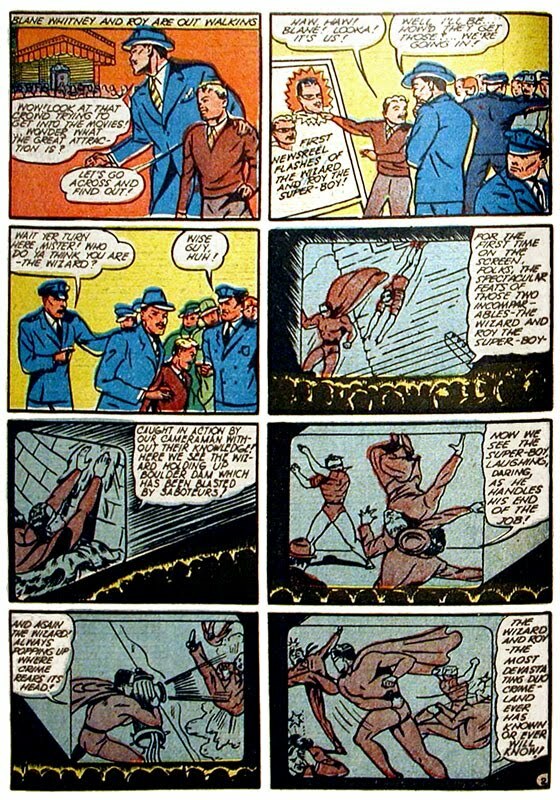 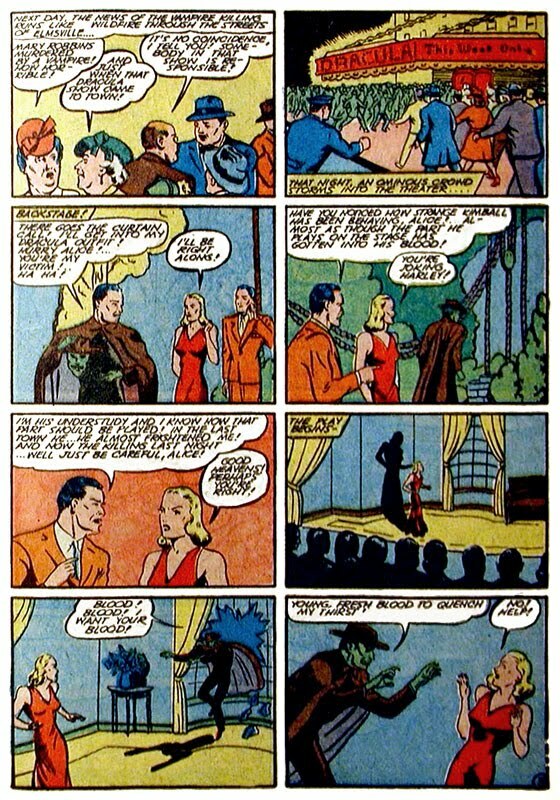 The Wizard debuted in TOP-NOTCH COMICS #1 (Dec 1939) and resided there until issue #27 (May 1942), after which the title became TOP-NOTCH LAUGH COMICS. 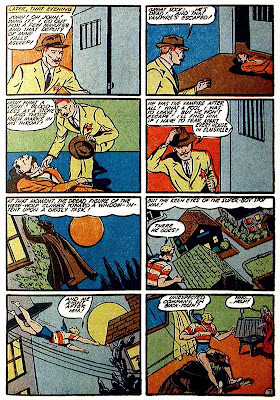 He also co-headlined the series SHIELD-WIZARD COMICS #1-13 (Summer 1940-Spring 1944). 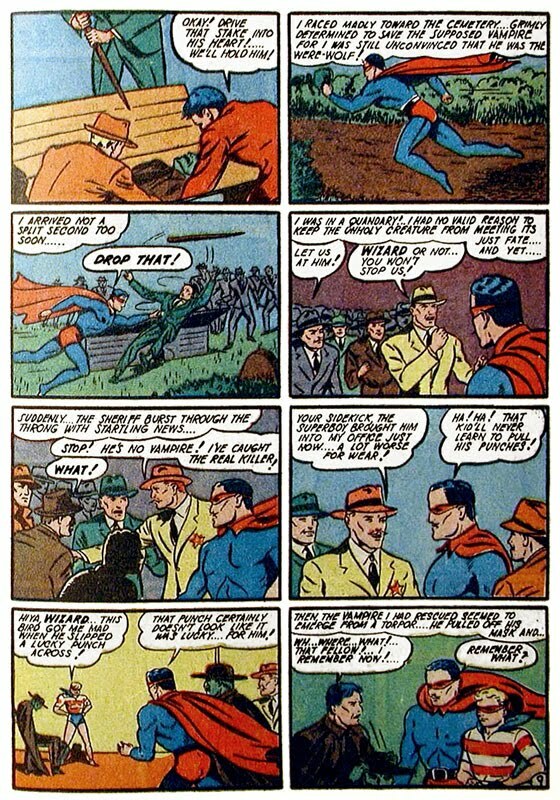 From Wikipedia: His real name is Blane Whitney, a man of great intelligence. 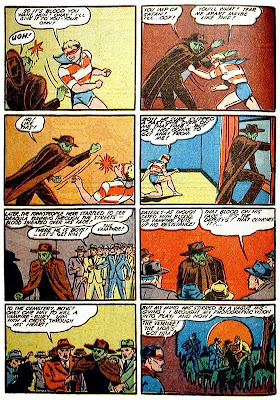 At first, the Wizard did not possess superpowers but was merely a man with great physical and mental prowess. 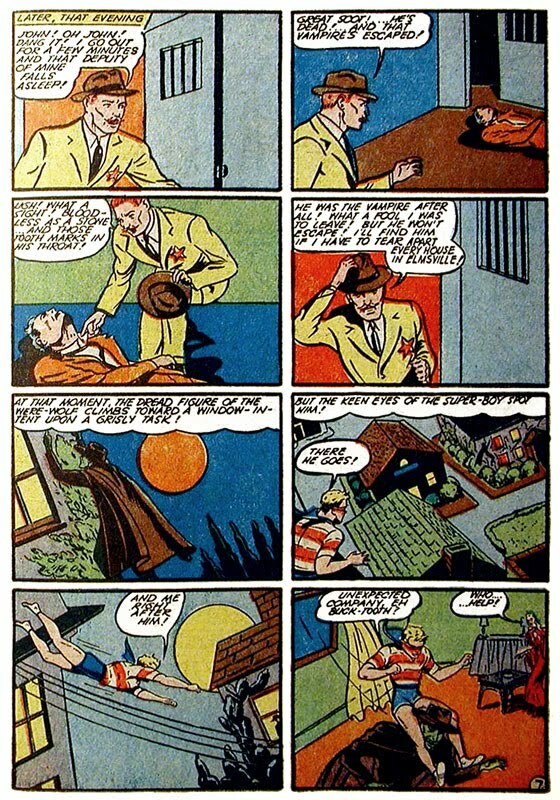 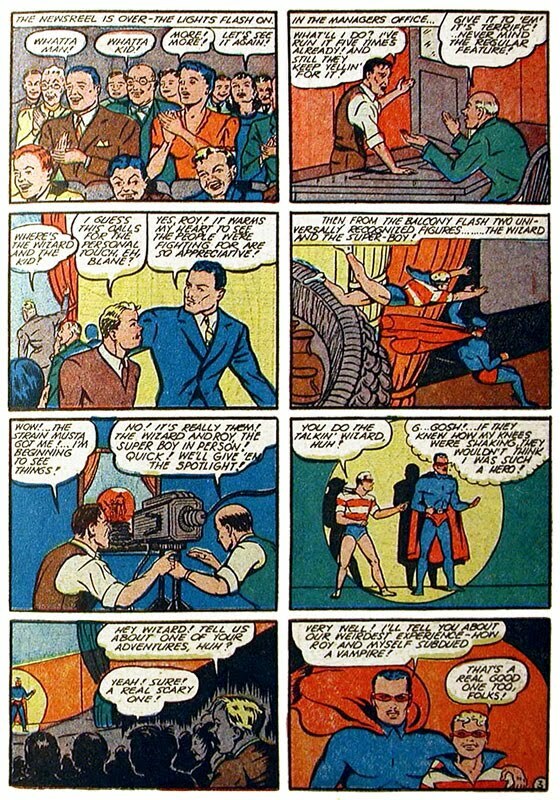 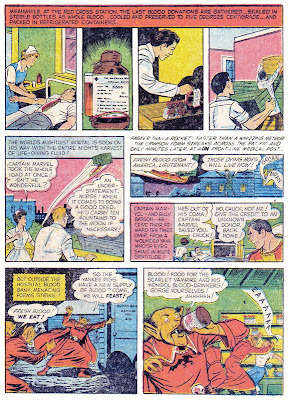 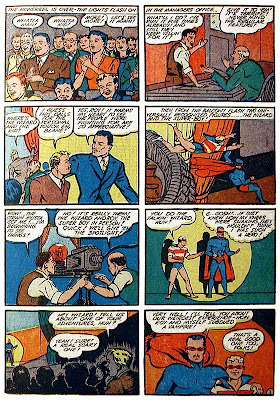 He eventually exhibited super-strength and great mental powers, including a "photographic mind," enabling him to see scenes far away from him, hypnosis, and telepathy. 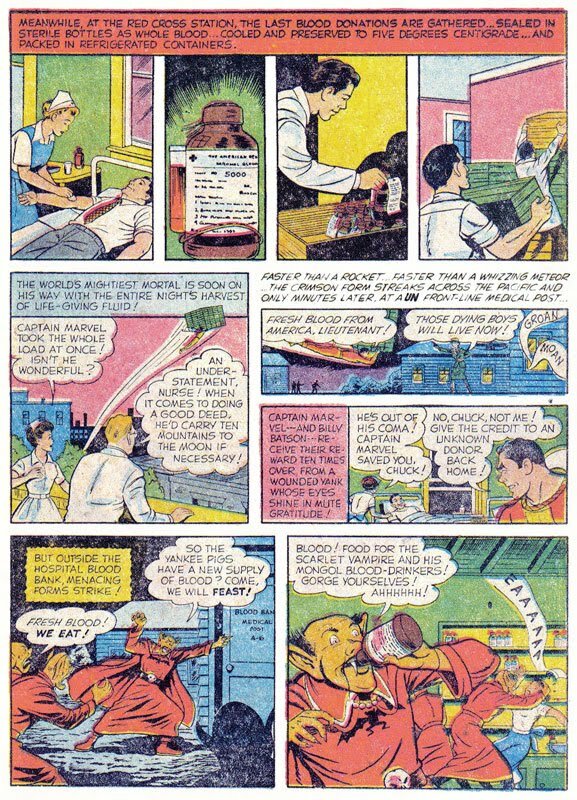 He also started consuming capsules containing a secret formula that replenished his super-strength. 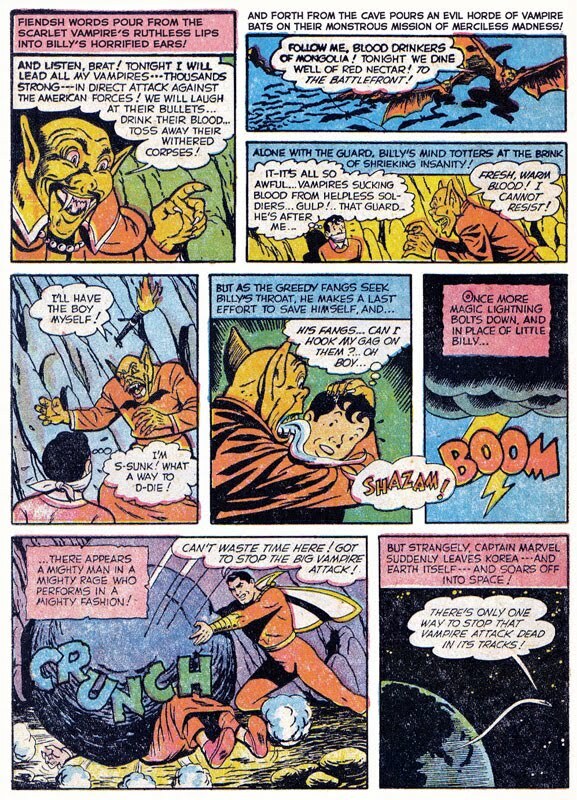 In his early appearances, the Wizard wore a tuxedo and cape, thus he was similar in appearance to Mandrake the Magician. 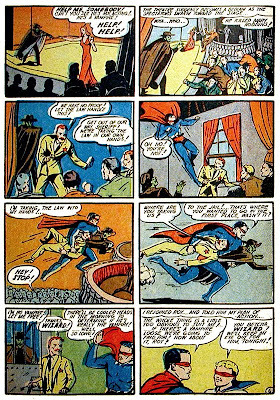 At first, his cape and mask were white. 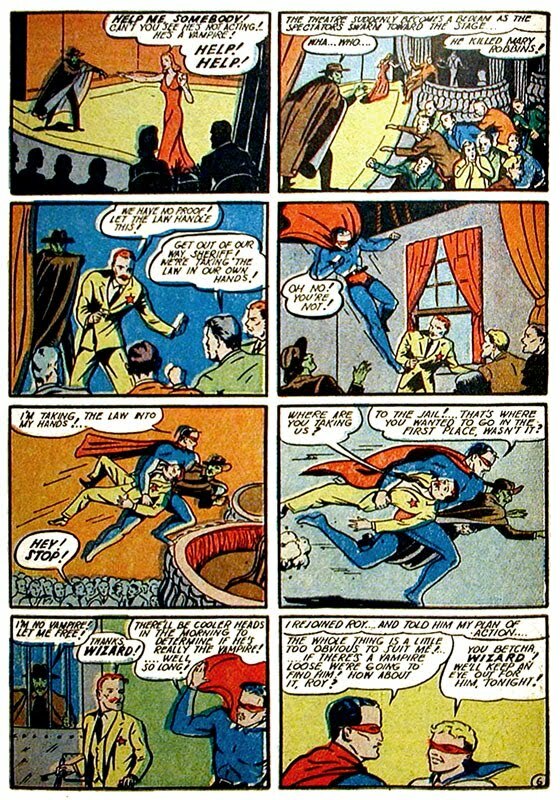 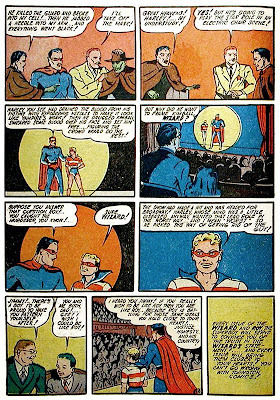 His costume was eventually simplified into blue tights with red trunks, cape, and mask. 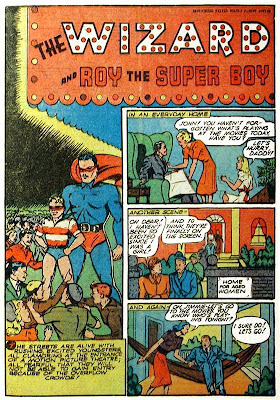 This costume made him invulnerable. 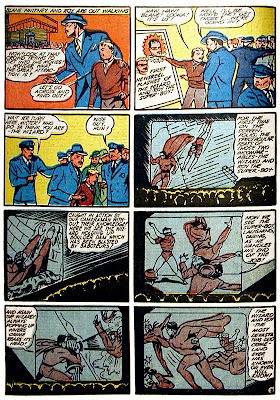 Kinda looks like he can fly, too. 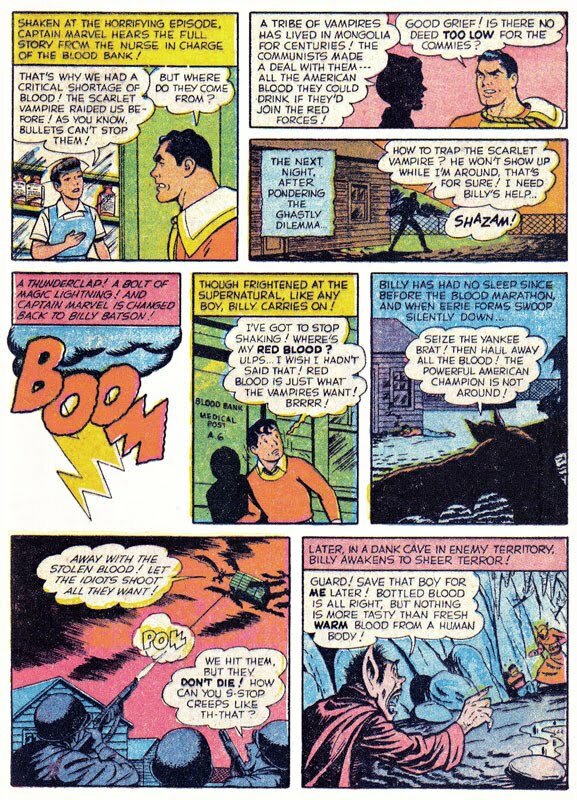 story by Harry Shorten? 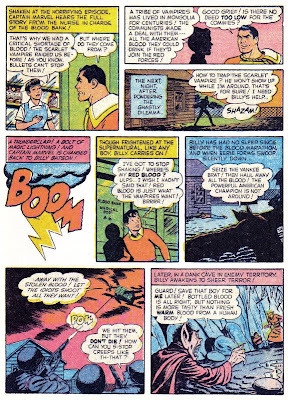 ; art by Al Camy?